Programming books can often look rather intimidating and uninspiring, but they do not need to be. We wanted to redesign the tech book and make it more accessible, relevant, and attractive to a whole new group of readers. The result is a book that feels more like a magazine and is enjoyable to flick through, and looks like it belongs in the graphic design section rather than the programming section of a bookstore. This book is incredibly useful for those who want to build websites with no technical background. 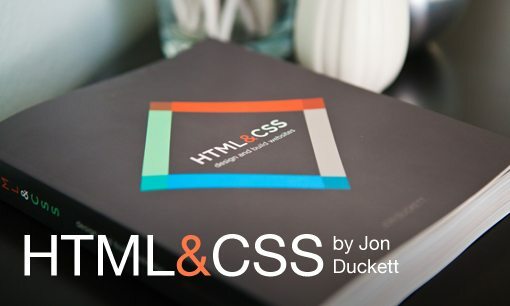 When I first read this book, I had already known HTML & CSS. I had the intentions of expanding my horizons with this book. Upon reading this book I had found that this book was very easy to understand and provided a lot of useful visual examples. Each chapter comes with an introduction as to what you will learn in that chapter; and at the end of a chapter, the skills you have learned are combined to create a sample website. This book goes through a lot and does more than explains how to do this, or how to achieve this look, but also goes in-depth to explain different layouts, and what set-ups make text easy to read, and a bunch of other useful things pertaining to your content and it’s looks. This book is highly recommended for anyone with even the slightest interest of knowing web design.